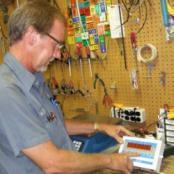 Welcome to the industrial scale repair service center for Smithfield, North Carolina. Central Carolina Scale repairs and services a wide variety of manufacturers products and is the ideal choice for scale repair service in the triangle. 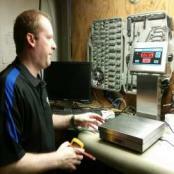 Central Carolina Scale, Inc supplies a wide variety of industrial scales like the A&D FC20K Counting Scales, Cardinal Floorhugger Platform Scales and offers Service, Repairs and Calibration services to the central part of North Carolina in Johnston County. The county was formed way back in 1746 from Craven County. It was named for Gabriel Johnston, Governor of North Carolina from 1734 to 1752. In 1752 parts of Johnston County, Bladen County, and Granville County were combined to form Orange County. In 1855 parts of Johnston County, Edgecombe County, Nash County, and Wayne County were combined to form Wilson County. 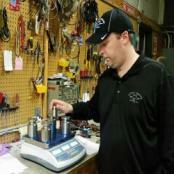 Central Carolina Scale repairs scales in areas like Smithfield and Clayton, North Carolina. 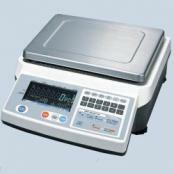 Some of the brands of scales that we sell and service in Johnston County include Rice Lake, A&D, CAS, Intercomp, Pennsylvania, Brecknell, Doran and more. Our concentrated presence in the state of North Carolina allows us to provide highly competitive pricing. Occupants in the 27577 zip code along with 27504, 27576 and 27527 are normally repeat customers of ours. This includes customers in Benson, Clayton, Four Oaks, Kenly, Micro, Pine Level, Princeton, Selma, Smithfield, West Smithfield, Wilson's Mills, Archer Lodge, Cleveland, Emit, Flowers, Hocutts Crossroads, Jordan, McGee Crossroads, Peacocks Crossroads, Powhatan, and Stancils Chapel. 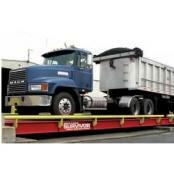 Central Carolina Scale provides Rice Lake Weighing Systems Survivor Truck Scales, Cardinal Ruggedweigh Scales and offers Scale Service, Repairs and Calibration services to the central part of North Carolina in Smithfield which is the county seat of Johnston County. Much of the growth of Smithfield North Carolina can be attributed to the town's close proximity to the Research Triangle area and access to major highways such as I-40, U.S. 70, and NC 42. Not too long ago, the Highway 70 Clayton Bypass stretch was completed from Interstate 40 along the southern portion of Clayton to highway 70 business in Smithfield which has made travel somewhat quicker, although it can be congested at times. Contact us today for your sales and service needs. Central Carolina Scale services and repairs Rice Lake, Intercomp, A&D, CAS, Avery Weigh-Tronix, Pennsylvania, Salter Brecknell, Doran and more. Our concentrated presence in the state of North Carolina allows us to provide highly competitive pricing without having to worry about maintaining lots of branches. Located in Sanford, NC Central Carolina Scale employees have over 90 years of combined experience in weighing equipment sales and service but even with all that experience, the staff still trains regularly via both on the job training and factory supplied training. 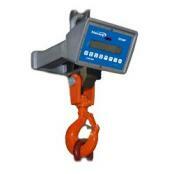 This one of the reasons why Central Carolina Scale has firmly established itself as a leader in the scale industry. 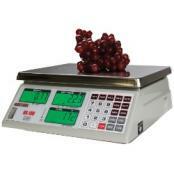 It's also one of the reasons that many of the top scale manufacturers in the United States like Rice Lake Weighing Systems, Cardinal Scale Manufacturing, Doran Scales, Intercomp, and Avery Weigh-Tronix rely on Central Carolina Scale to distribute and service their scale equipment. It's worth mentioning though that Central Carolina Scale, Inc is an independent scale company which basically means that although the company does enjoy great relationships and support from scale suppliers like Rice Lake and Cardinal, but ultimately Central Carolina Scale is free to decide what item(s) are best suited for a particular customer. This is important because it means that the customer is provided with whichever manufacturer(s) or model(s) that the company feels is appropriate and not forced to look only at one manufacturer. Facilities and equipment are wonderful resources.. but ultimately are of little value without the most important aspect of any business – its people. Central Carolina Scale is proud of its ability to attract top-notch people to its business. 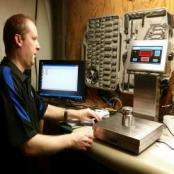 Over the years Central Carolina Scale has been fortunate in being able to employ many talented individuals with the willingness to develop their skills to the highest levels to recommend, repair, and provide quality weighing equipment to customers. Central Carolina Scale believes in having the best people on board, from the service testing and adjusting a bench scale providers to the office staff to customer-service representatives.